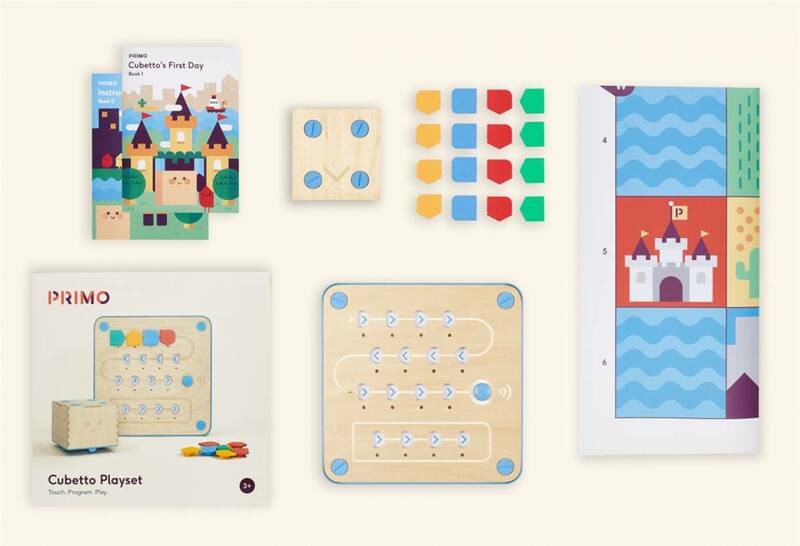 Cubetto is the Motessori-approved coding toy for children aged 3+, powered by tangible programming language mae of colourful blocks. Children guide Cubetto through a series of maps and stories, and learn the basics of computer programming and STEM skills without the use of screens. commands to Cubetto. Think of it as your keyboard if you like. 16x Coding Blocks, a real programming language you can touch and combine to give Cubetto instructions.